Silver beads that are handmade from Thailand. A combination of shapes and finishes. Antiqued, brushed or shiny. 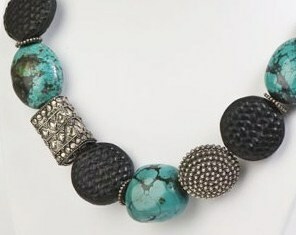 For additional interest, some pieces are combined with crystal or stones.